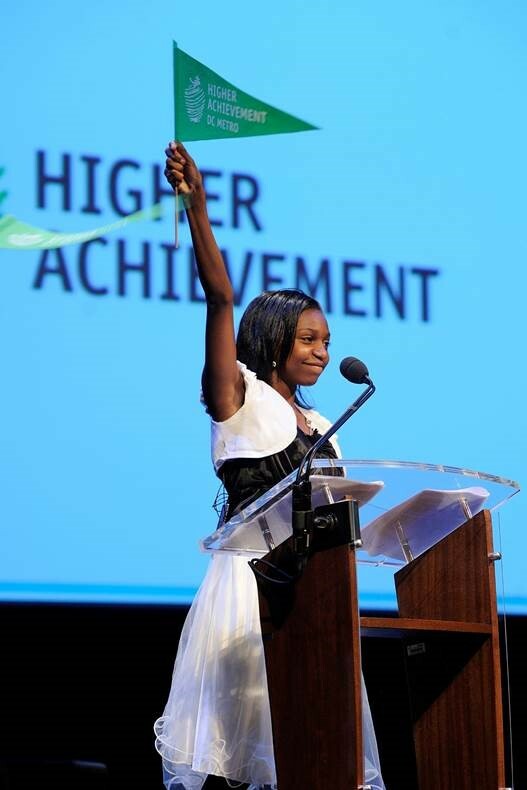 Help spread the work about Higher Achievement. Become a Middle School Matters Ambassador! Middle School Matters is an inspiring tour of Higher Achievement’s mission as told by scholars, mentors, alumni, and staff. Ambassadors are short term volunteers who open doors for Higher Achievement and introduce new people to our work through a Middle School Matters tour. The only thing you need to be an ambassador is passion for Higher Achievement! Attend at least 1 Middle School Matters tour at the Higher Achievement national office (1750 Columbia Road NW). RSVP here for upcoming dates. Host a Middle School Matters tour for 10-15 people at the Higher Achievement office or at another location of your choosing (ex. home or office). Inform guests of what the event will be about and that they will receive a follow up call from Higher Achievement. To learn more, contact Beth Sadler at bsadler@higherachievement.org.